Home > Blog > Health Conditions > Yes – You Can Manage Dog Eye Problems Naturally! Did you know that you can manage any of the most common dog eye problems with natural treatments? The trick is … you just need to know the cause. But first, you need to know the anatomy of your dog’s eye, so let’s start there. There are several different parts that make up the eye. 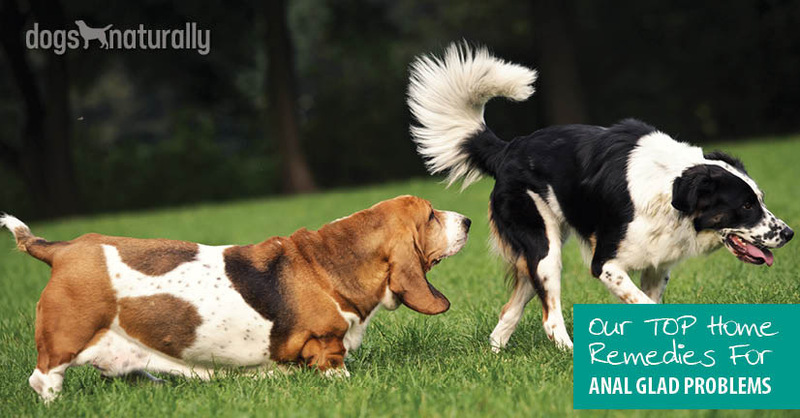 They all have different functions and they all play a role in your dog’s ability to see. 1. Eyelids – dogs (and other animals) have three eyelids. The upper and lower lid are the same ones humans have – the ones you see when your dog blinks. They also have a third eyelid. It isn’t easily seen in most breeds. 2. Cornea – the clear part of the eye that you see. It has to be clear or light can’t reflect off the back of the eyelid. This is where ulcers can happen. The cornea is very sensitive. It doesn’t heal very quickly because it doesn’t have many vessels running through it. 3. Iris – that’s the colored part of the eye. 4. Pupil – the black center of the eye. It’s the opening between the iris where light shines through to the lens. When it’s dark, the pupil gets bigger to let in more light. When it’s bright, the pupil gets smaller to let in less light. 5. Lens – focuses the light back to the retina. It sits behind the iris. 6. Conjunctiva – thin membrane that protects the sclera. It is near the front of the eye and runs to the edge of the cornea and covers the inside of the eyelid. 7. Glands – the eye fluids are not just tears and water. There’s also an oily fluid that lubricates the lids when they close so they don’t stick. This fluid comes from the glands along the lid. 8. Sclera – the white of the eye. It’s the relatively tough outer layer of the eye. It changes color when it’s irritated or other issues exist. 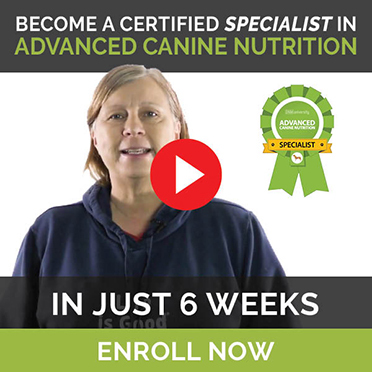 [Related] Ever considered Iridology to understand your dog’s health? Here’s what this study of the eyes involves. 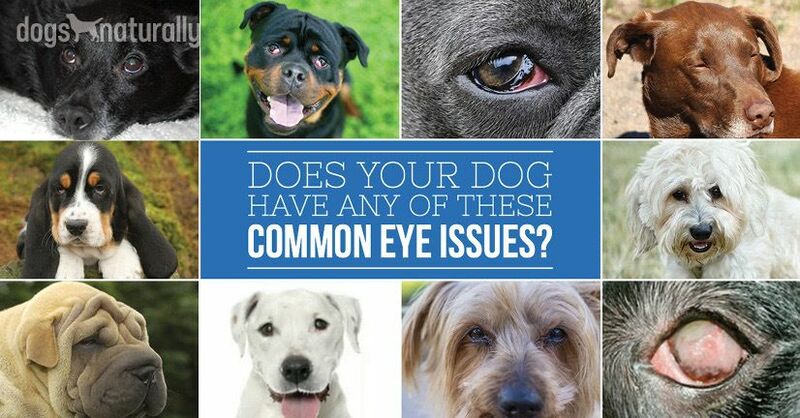 These are some of the most common dog eye problems that I see. Many of them may seem serious, but a little knowledge can help ease your stress. It will also help you create a strategy for treatment. Cherry Eye. Cherry Eye is like a bubble, usually an inflammation of the third eyelid. It may show up on one side, then on the other. 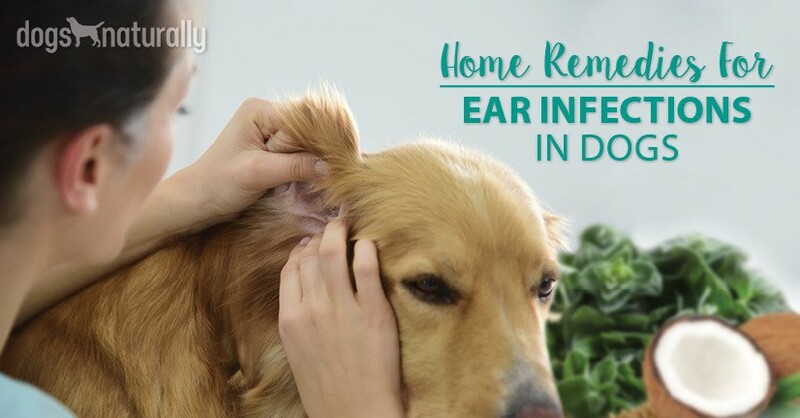 It may seem scary, but it’s usually fairly easy to treat. Lenticular Sclerosis. Lenticular Sclerosis is usually confused with cataracts and sometimes called cloudy eyes. It’s oxidation in the center of the lens and it’s usually a result of oxidative stress in the body. You’ll see an opaque circle, usually with dark around the outside, but the lens won’t be entirely white. Dogs can usually see through lenticular sclerosis. Cataracts. True cataracts are often hereditary and can occur from age or from trauma. They’re a clouding of the lens. It’s very difficult to see through a cataract. Ectropion. 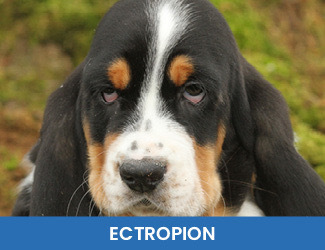 A dog with saggy eyelids likely has ectropion. This is when the eyelids turn out. The conjunctiva shows because the bottom eyelid doesn’t come up and protect the eye. Bacteria and other foreign material can get in there and cause irritation. Entropion. Entropion is a turning in of the eyelid. It’s quite dangerous and painful. The eyelids and eyelashes turn in and rub on the cornea. It’s usually a result of shameful breeding practices. There will be discharge because bacteria gets in there and can’t get out. Entropion can cause ulcers. It’s common in short-nosed dogs. Surgery is usually the only answer. Conjunctivitis. Conjunctivitis is an inflammation of the tissues surrounding the inner eyelids and the sclera. It can come with an upper respiratory tract infection or because of dry eye or other irritants. Sometimes dogs with unpigmented third eyelids will look like they have conjunctivitis. This is because the conjunctiva always looks a little pink, but usually there isn’t anything wrong. Dry Eye. Dry eye is literally just that, dry eyes. Maybe you’ve been to the vet and they’ve used those little green pieces of paper? They put them between the eyelids to measure the level of fluid in the eye? That’s to check for dry eye. If your dog isn’t producing enough tears, it can be painful and hard to open the eye all the way. Your dog can rub at her eye and irritate it further. Eyelids will stick because there’s not enough moisture. Pannus. Pannus is when blood vessels coming from the sclera start to grow over the cornea, they’re not supposed to be there. They obscure the vision. It can be very uncomfortable. It can come on slowly or quickly. It’s a chronic disease and often an auto-immune disease (as many of these are). Irritations. 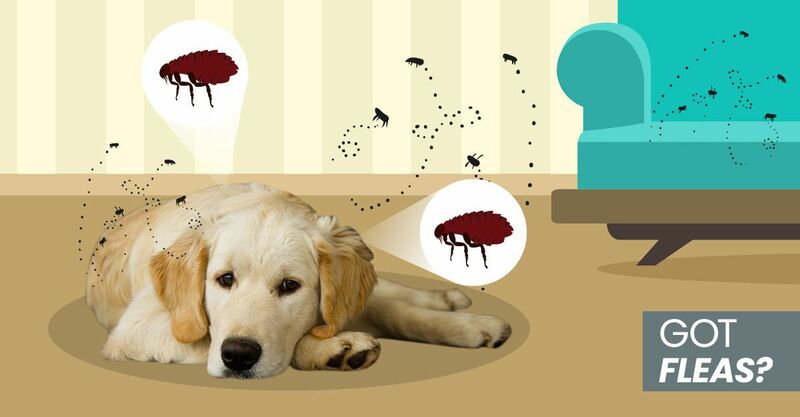 General irritations usually happen when fur/hair are constantly hanging in the eyes. This can constantly irritate the eye. This wicks the moisture out of the eye, causing dry eye. Even just giving a dog with long hair hanging in the eyes bangs can help tremendously. Lacrimal Duct Issues. The little ducts that go from the corner of the eye into the nose are called the lacrimal ducts. Some dogs have closed lacrimal ducts, or if there’s a lot of discharge, bacteria can build up. It’s common with smaller dogs. [Related] Glaucoma is another dog eye problem. Find out more about it here. If your animal is struggling and seems to be in pain when you’re cleaning, it’s probably a good time to go to your vet. There are a few ways to keep your dog’s eyes protected and keep dog eye problems at bay. Many of these are also going to help when it comes to management. Use a clean cotton cloth with warm water. You can also use 4×4 gauze. Then you can throw them away. Always start at the center (closest to the nose) and clean out. You can also use a warm saline solution – just a tiny bit of salt. I’m talking ¼ cup water with just a tiny pinch of salt. Just dip your cloth in there and use that to clean the eye. If your dog likes to hang his head out the window, you need to protect her eyes. This is a pet peeve of mine, but if your dog does it, at least get some goggles, or “doggles,” to protect the eyes. There are so many things on the road (dirt, sticks, bugs) that can damage the eyes. A fresh, varied diet promotes eye health. Changing to a fresh food diet can also really improve vision and help eye issues heal. Use those drops to the rinse out the eye. It’s very gentle so you can use it as often as you want to – 2, 3, 4 times a day. Euphrasia Officinalis 30C – the Eyebright homeopathic remedy. This is one of the safest things you can use and beautiful for healing the eye. Give 1-2 pellets twice or three times a day. The eyes are sensitive. The eyes don’t regenerate very quickly, especially when there’s an issue with the cornea. Because of this I always say to talk to your vet sooner rather than later. When dogs start to show issues in the eye area, many dog owners get worried. And that’s fair. However, if you know the anatomy of the eye and the cause of some of the most common dog eye problems, you’ll feel better. This will also help you figure out when (and how) you can treat these issues at home, naturally.